Who says Omellete's need eggs? Bacon and cheese, it's all you need! This recipe is the crowning achievement of bacon artisans. Note the woven bacon. 1. 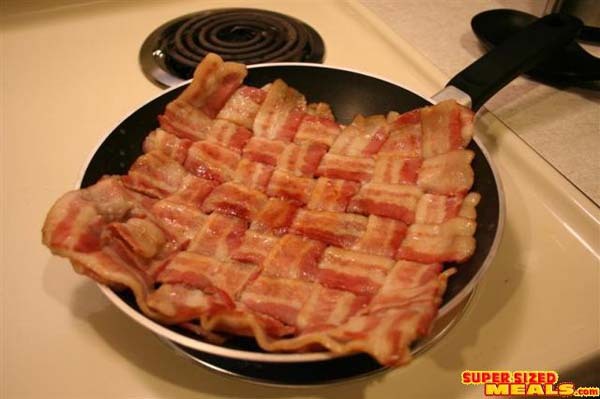 Weave the bacon together to form a square shape. The tighter the weave the better it will hold together. 2. Place on skillet or frying pan and cook on a medium to high heat. 3. Midway through cooking add cheddar cheese.